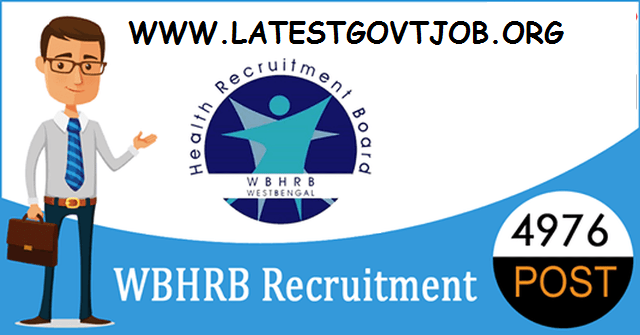 WBHRB Recruitment (2018) - 4,967 Vacancies for Staff Nurse @ wbhrb.in : West Bengal Health Recruitment Board (WBHRB) has released a recruitment notification for 4,967 posts of Staff Nurse. Interested candidates may check the vacancy details and apply online from 21-07-2018 to 30-07-2018. Candidates should have passed General Nursing and Midwifery (GNM)/Basic B.Sc. (Nursing)/Post Basic B.Sc. (Nursing) from Nursing Training School/College of Nursing recognised by Indian Nursing Council and respective State Nursing Council. Selection of candidates will be made on the basis of Written Examination or Interview. General/OBC/UR candidates have to pay Rs. 210 through Net-banking in any bank participating in GRPS (Govt. Receipt Portal System), Govt. of West Bengal. SC/ST/PH candidates don't have to pay any fee.